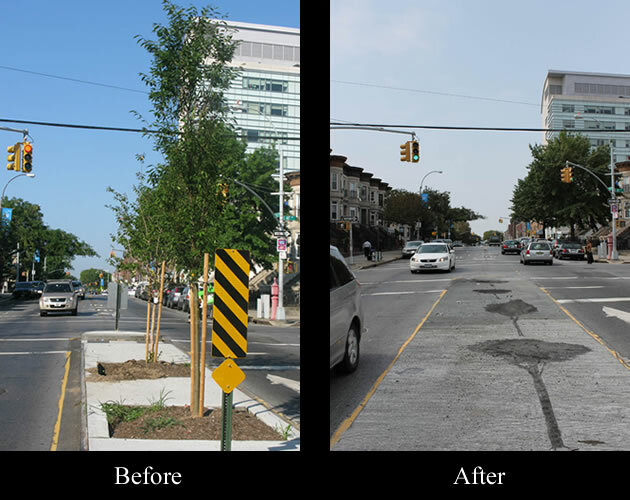 Last year our city installed medians and trees as a traffic calming measure and to beautify a rather desolate area of Brooklyn. Sadly, the local residents vehemently complained about the new addition. The city quietly removed the medians hoping that no one would notice. The shadows of the trees remain as a reminder of this costly boondoggle to all involved.